A 5 MMgy plant in San Diego will be producing biodiesel using the latest process technology of enzymatic production. Buster Biofuels is working with Viesel Fuel and Tactical Fabrication to build the first enzymatic biodiesel plant on the West Coast. Producers and technology providers, including Pacific Biodiesel, Kelley Green Biofuel, Piedmont Biofuels, WB Services and Crown Iron Works, discuss procedural and design elements to mitigate risk in biodiesel manufacturing. According to the order, Boyd A. Ware and his company Central Missouri Energy offered and sold securities without being registered with Kander's office, deceived investors with phony information and scammed Missourians out of nearly $200,000. 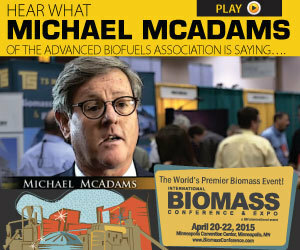 Industry and academia work together to find a solution to the common biodiesel fire hazard of spontaneous combustion, which occurs when heat, resulting from chemical or biological reactions, accumulates in loosely piled flammable materials. Chico, Calif.-based biodiesel equipment manufacturer Springboard Biodiesel recently introduced its GL95/MC12/BD380 trio to recover more than 99 percent of excess methanol mixed in with the glycerin that's produced when making biodiesel. Tulsa, Okla.-based Wil Braggs, known as The Cheese Guy, is working to change people's perceptions of the food truck industry by going green. He is trying to raise enough money to build a new food truck that will run on solar power and biodiesel. The deal is worth $56 million plus payment for inventory at closing. Castle's Port Morris terminal is the largest deepwater petroleum products terminal in NYC, with 907,000 barrels of total storage, handling distillates, residual fuel and biodiesel. The Iowa Biodiesel Board offered its congratulations to last night's election winners, and remains optimistic for the future of biodiesel policies in Washington. Grant Kimberley, IBB executive director, issued a statement after the election. REG's Q3 financials show that the company sold 14.4 percent more biodiesel and produced 12.3 percent more fuel over Q3 2013 while revenues declined by 16.2 percent due to lower RIN and per-gallon biodiesel prices.